Addio “U Liotru”! 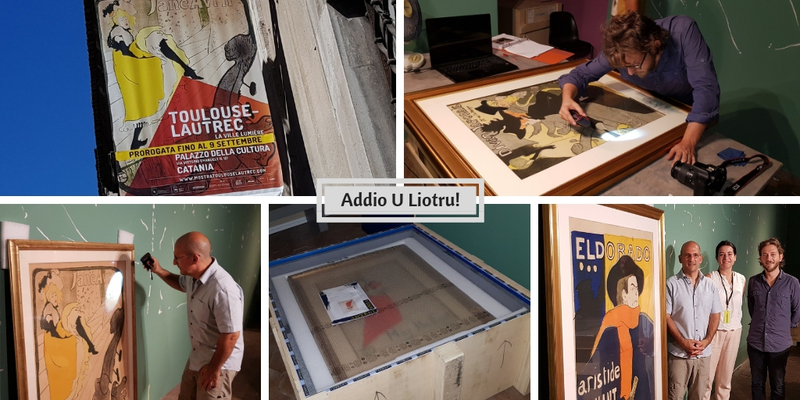 – Pan Art Connections, Inc.
Addio “U Liotru”! Addio “Toulouse Lautrec – La Ville Lumière”! Another successful exhibition came to an end as we are saying goodbye to Catania. Congratulations to the Arthemisia group and the entire team of Palazzo Della Cultura. Special thanks to Alessandra Caldarelli and Salvatore Davi for their care and attention to detail. “Toulouse-Lautrec: La Ville Lumière” is extended until September 9th, 2018!